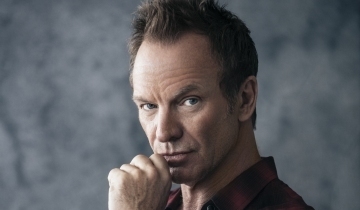 On December 31, Sting will play a special New Year's Eve show at The Chelsea at The Cosmopolitan of Las Vegas! The members-only presale begins tomorrow, Wednesday, October 19 at 10AM. The public onsale is Friday, October 21 at 10AM. All times are local venue time. Check out the Tour page for instructions on how to participate in the pre-sale. In order to participate in the Sting.com pre-sales, you'll need to be logged in as a paid member. Not a member of Sting.com but interested in joining? Join now to take part in the pre-sales. Photo credit Eric Ryan Anderson.